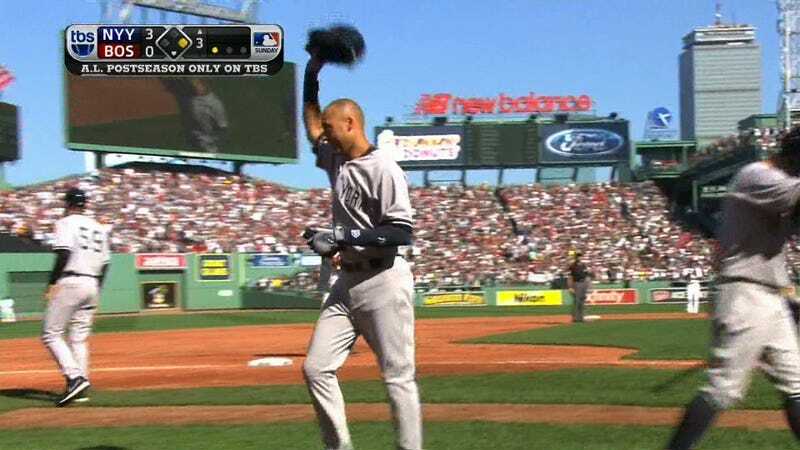 Derek Jeter took his final at-bat in the third inning at Fenway Park today. He hit an RBI infield single before being subbed out for Brian McCann. Never again will Jeter have to play one of those 10-hour Yankees-Red Sox games.